The programme trains female cotton farmers in sustainable production methods. This reduces environmental impacts and increases the farmers’ incomes. The taught subjects are choosing the right seeds, managing soil, water and pests, harvesting the cotton, fibre quality as well as assessment and storage of cotton. In learning groups and through a combination of classroom and field-based teaching sessions, the farmers learn about modern cultivation techniques for their land. The training also addresses health and safety-related aspects and working conditions. Particular emphasis is on techniques for boosting yields and producing higher-quality cotton. Additional training elements encourage the smallholders to apply these techniques in order to reduce the environmental impacts of the cotton they grow. Since 2013 more than 6,000 female cotton farmers have participated in the programme, and another 5,000 will be trained. 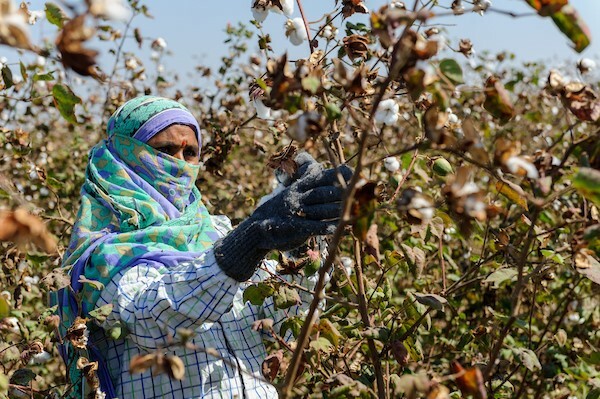 The results of the first programme cycle (2013 – 2016) show that supporting female cotton farmers in India can bring about significant improvements for the women, their families and their communities. By reducing their use of water and chemicals, the participating women were able to boost their cotton yields; overall, they increased their average profits by more than 200%.